I'm a huge fan of miniature (that sounds odd)! It's true, I think that miniature is just so cute! It's why I love making polymer clay food; what's not cute about teeny, tiny cheesecakes?! I love making miniature landscapes for terrariums. So why not something similar that doesn't need to be watered? Enter the miniature diorama fridge magnet! 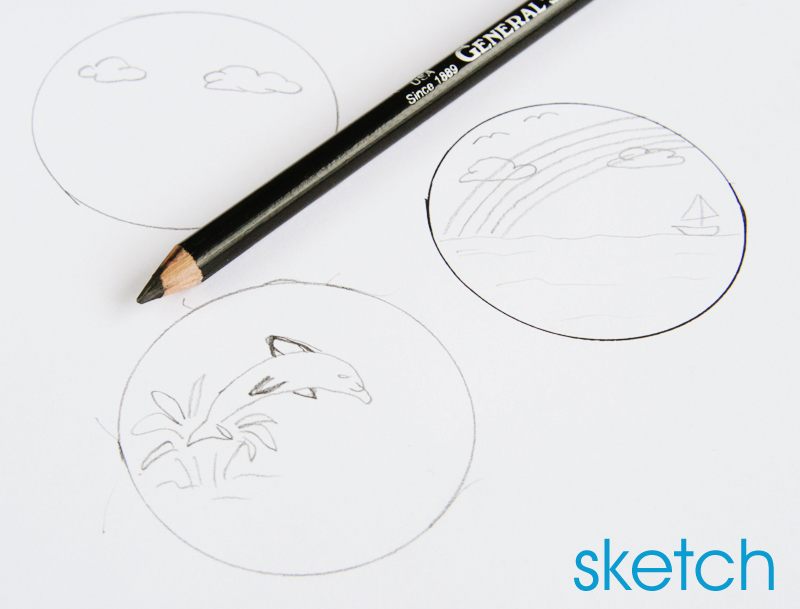 Using the lid of your container, draw a circle onto your copy paper. I drew a few for the different pieces of my scene. 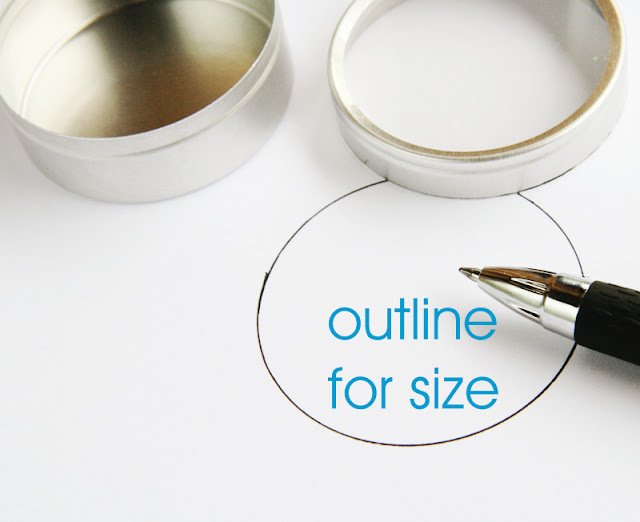 You'll want to use these circles as a size reference for your design. 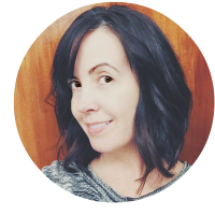 Once you have decided on your final design, trace them onto your cardstock. Tip: You can also use patterned scrapbook paper for your background. If you don't like to draw, use pre-printed stickers or foam shapes instead. Now it's time to color your design. I used watercolor pens, but you can use any type of coloring tool - even crayons! Next, layer each piece to give it that 3D effect! 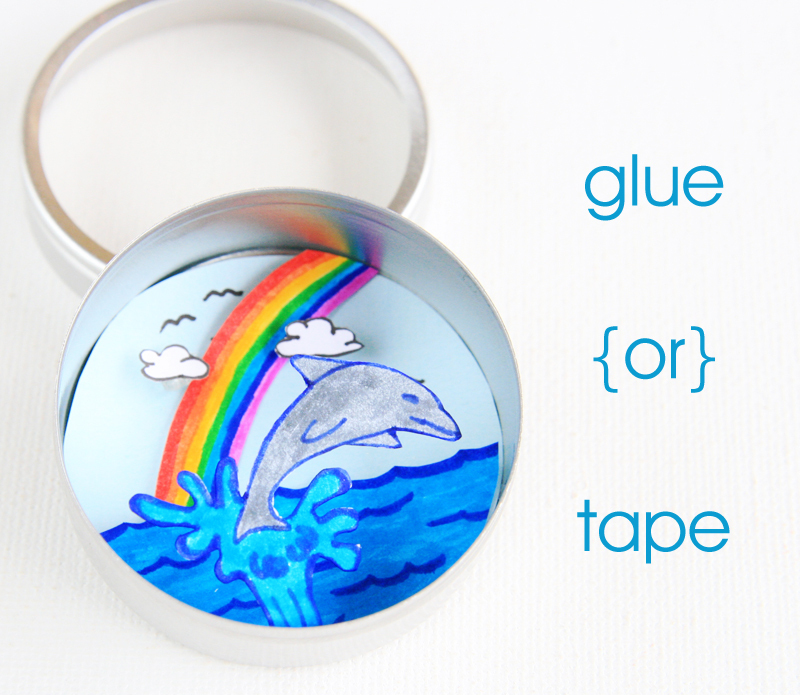 I chose to use double-sided tape to add the background to the tin. 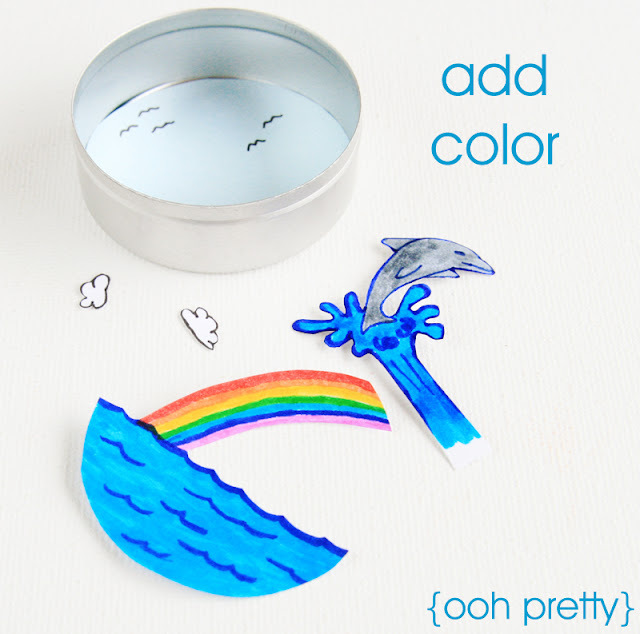 Then I layered the water/rainbow scene with more double-sided tape. For the clouds, I used rolled up glue dots to give the effect that they were floating over the rainbow. For the final piece, I cut out an extra long strip from my design and folded it over. 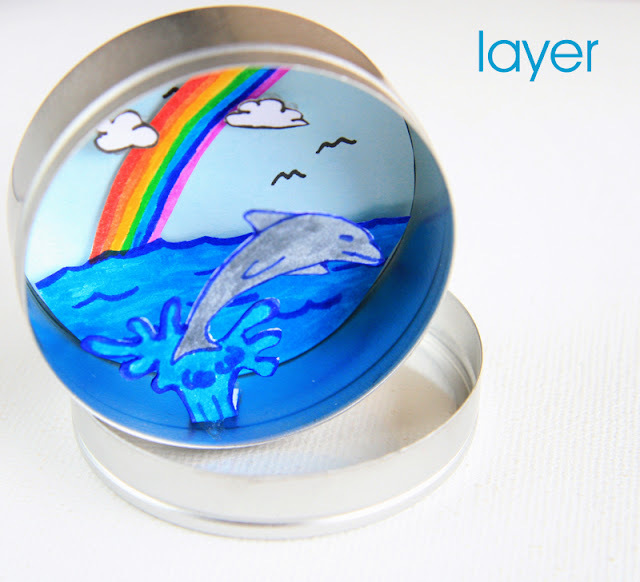 I placed a glue dot on the bottom edge inside the tin and glued the dolphin piece so it isn't against the tin cover and isn't flat against the background. Place the cover on the tin and secure a magnet to the back. I used double-sided tape and a black magnet. For a stronger magnet, use glue to attach it to the tin. 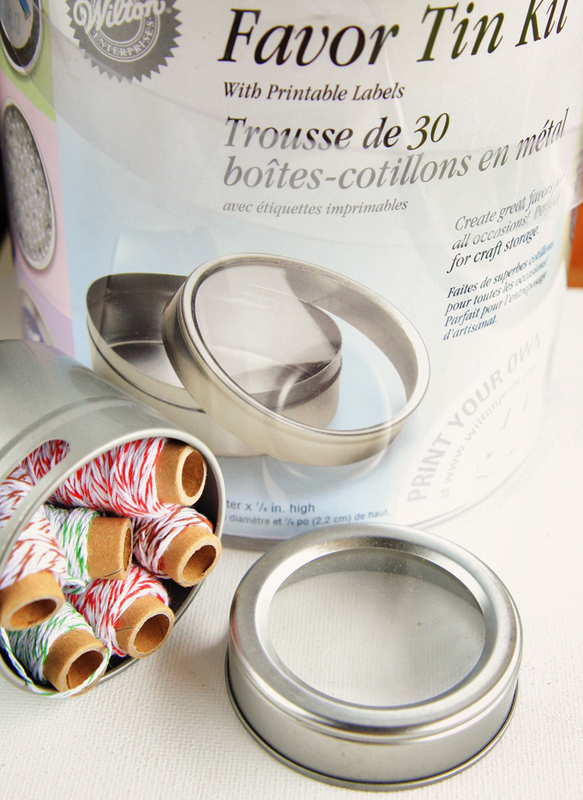 For an extra added touch, you can add washi tape or scrapbook edging around the outside. Or add some lettering and foam stickers. Maybe some rhinestones? The possibilities are endless! Give them as gifts or use them to decorate your home or office. 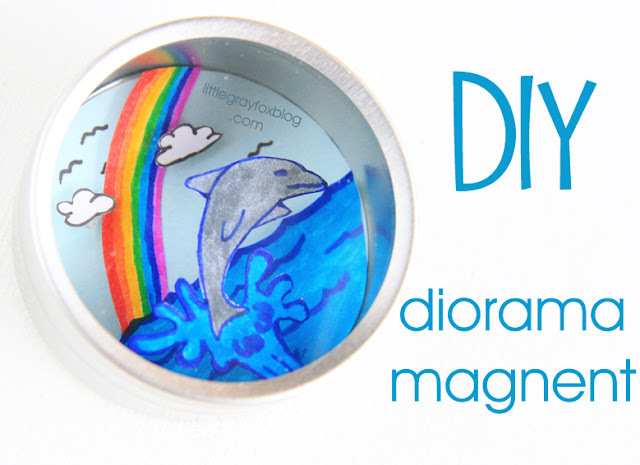 Be sure to post a link to your project if you decide to make your own diorama magnet! Awww I love this idea! Very creative idea! 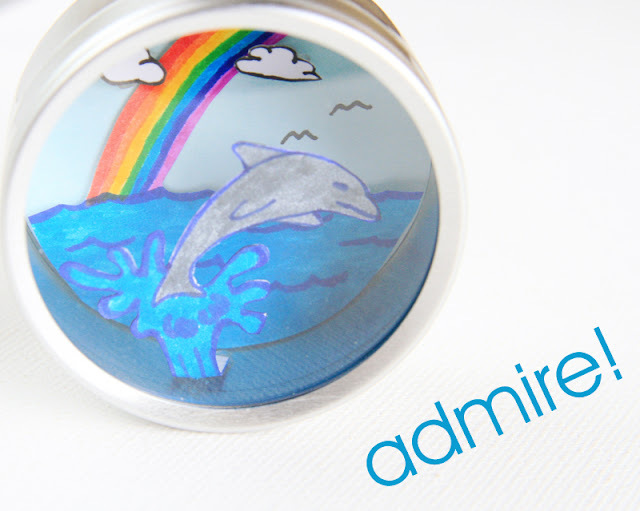 I love the way the finished magnet looks!